My kids love face painting. 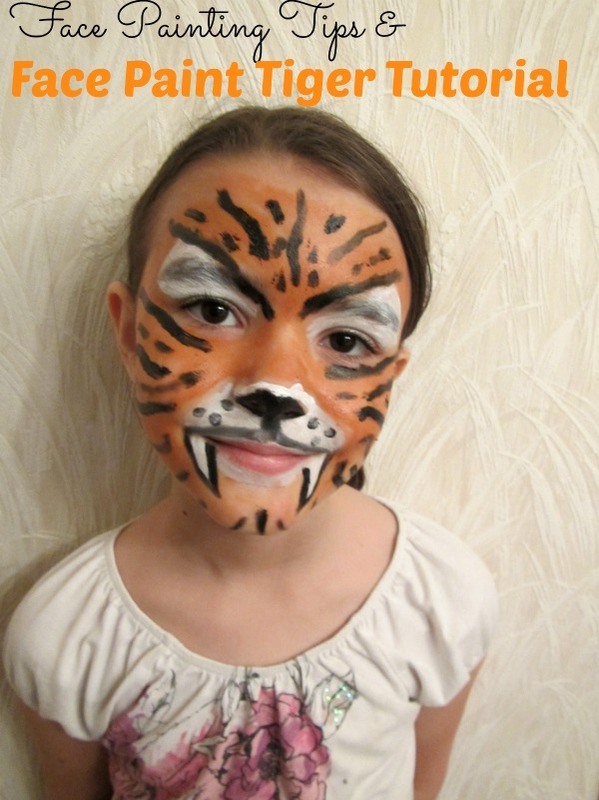 I am doing face painting for my daughter’s birthday party this year and I am excited because it is always a popular choice and lots of fun for me and the kids. *Professional face paint is a little more expensive, but it is so worth it because they are certified safe. That way you can rest assured that there are no hidden nasties or toxic pigments in the face paint. *Professional face paint goes on a lot easier and is easier to do more intricate designs with. *Professional face paint also comes out of carpet and clothes more easily. mix them together to make more colors. *Use disposable cotton buds and make-up pads. Using different pads for different colors means you don’t have to wash out the pads during a painting session. *Make sure you have plenty of photos of finished faces that kids can look at while they were waiting. This gives them time to make their minds up and also gives you a template to work from. *Remember to take a mirror so the person who’s face you’ve just painted can see the result. *Baby wipes work fast and easy for ‘mistakes’; you can also be assured they are safe to use on faces. *Avoid letting paint dry on your brushes and utensils. Brushes, utensils, and hands can then be washed with soap and water. First you will want to use white on the eyelids and over the eyebrows making an upward triangle shape over the eyebrows. Then use the face paint around the mouth area downward from the nose and over the mouth towards the bottom of the chin. Next fill in the rest of the face with orange face paint. Finally use black to add symmetrical stripes and color in area over nostrils. Draw a line straight under the nose to connect it to mouth. 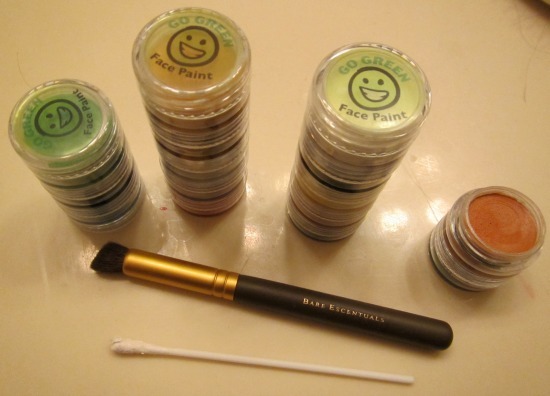 Use the picture as your guide but this helps give you an idea of the general order that works best for the face paints. If you’d like other face paint ideas, you may want to check out these directions for skull face paint and comic book face paint. Do you think you will try one of these face paint ideas? I hope you found the face painting tips helpful. I’m so impressed with your face painting skills! I’m glad to hear Go Green Face Paint is a safe option, especially for next Halloween! 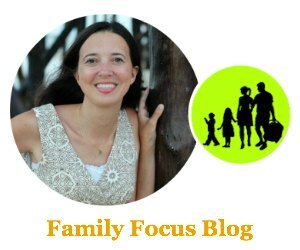 My kids have NEVER had their faces painted, can you believe it? I think it all has something to do with someone else touching their faces!! You are amazing at it, however! I think I’d make a royal mess if I tried! SO GLAD to hear about this face paint. My kids love having their faces painted for Halloween, but I’ve relied on makeup that’s free from harmful chemicals instead. Excited to check out this new option!